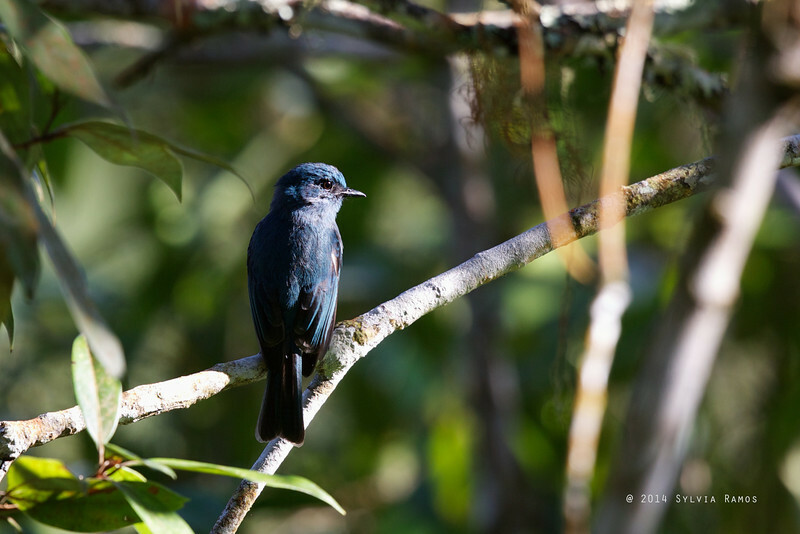 This is called Mountain Verditer-Flycatcher in the Kennedy guide. This bird is found in mountain forests above 800m. This bird was common and conspicuous during our trip to Mt. Kitanglad in Bukidnon. A very beautiful bird! We saw this bird again in Sagada in Jan. 2010. It was in a big mixed flock and it was a foggy day. Its a different race from the bird we saw in Bukidnon.